If you are struggling to comprehend the numerous different holiday rental laws in Spain and figure out what are approved amendments as opposed to proposed changes, then you are not alone. It seems like hardly a week goes by without the announcement of a proposed change to holiday rental licencing laws somewhere in Spain. More often than not, these news announcements are about proposed amendments. In the past few weeks alone, several proposed changes to existing holiday rental licence laws in Spain have been announced which may have added to the confusion what is an actual approved regulation, and what is a proposal. With each new or amended law that is relevant to Spain-Holiday.com holiday rental home owners, we provide in-depth detail information on what you need to know. This article aims to give you a quickfire roundup of proposed changes to existing holiday rental licence laws, region by region, around Spain. But first, let’s take a look at why the laws relating to tourism and in particular holiday rental properties, appears to be convoluted, complicated and confusing in Spain. Why so many variations on holiday rental licence laws? 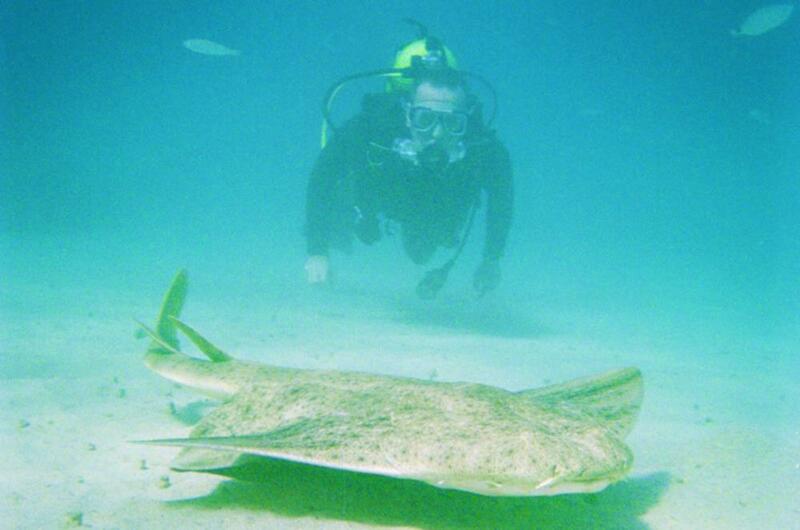 The laws relating to tourism in Spain, are not applicable on a national level. Instead, each Autonomous Region sets its own laws. With a total of 17 autonomous regions in Spain including the Balearic Islands and the Canary Islands, and currently 43 different regulations governing the holiday rental industry, plus the special powers of more than 8,000 municipalities, the result is thousands of different rules regulating the growing holiday rental industry in Spain. It is little wonder that understanding holiday rental licencing laws in Spain can be quite challenging. Should you worry about a proposed regulation affecting you and your property the minute it is announced? It is a good idea to be aware of any news regarding travel, tourism, property, legal, cultural etc that could impact in any way on your property and your holiday rental “business” but you should not worry unduly at the stage of a “proposed” regulation or change to an existing regulation until it becomes more that just an idea. Is there anything you can do to have your say on the proposed regulation whether you agree or disagree with it? A lot of “proposed” amendments are just politicians hypothesising on what they would do. You only need to really pay attention when a proposal becomes official - when it is a “borrador” which is a legal document proposing an amendment to a law or a new regulation. Once a borrador has been published, there is normally a period of time when the general public can lodge their “alegaciones” - suggested modifications, arguments againsts, comments, demands for further clarification etc. The timeframe for presenting these alegaciones is normally one month from the announcement of the proposed law/amendment . Citizens can lodge their alegaciones directly with the Junta - the Regional Government - where the law is applicable. Alternatively they can lodge their complaints with the relevant Association of Holiday Rental Owners (or similar) in the region where the law will be applied. You can also communicate your disagreement/agreement to local political parties to put pressure on the Regional Government to approve/reject the proposed law. Is it pretty much a done deal when a proposal is officially announced that it will become an approved amendment to the existing holiday rental licence law? No. More proposed laws do not get approved than those that do. And there is normally some amendment to the regulations at the very least. What is the timeframe from the announcement of a proposed amendment or addition to the law to it becoming approved? From the publication of the “borrador” - first draft of the new law/amendment - it normally takes between 3-6 months for the law be approved. Even once the law has been approved, there is normally a further period of adaptation for the law to come into effect. holiday rental activity must be registered and licenced. The regulations vary greatly from area to area; from air conditioning units in every room, properties located on a particular floor only in apartment blocks, the size of the beds, independent access, to minimum size of property. Confused about the different between a Tourist Apartment (Apartamento Turistico) and a Holiday Rental Apartment (Vivienda Vacacional)? Don’t beat yourself up on the confusion when not even every region can agree on universal definitions for terminology. And then there are lodging establishment (establecimiento de alojamiento) or houses for tourist use (viviendas de uso turisticos) to understand too! The length of stay that defines a short-term holiday rental instead of a long-term rental (the Ley de Arrendamientos Urbanos LAU 29/1994) which curiously applies to the whole of Spain) is another point that the various regions cannot agree on. From 45 days or 2 months in Andalusia, depending on whether it is a tourist apartment or a holiday rental property, to 31 days in Catalonia or even in Madrid and Murcia which state there is a limit, but don’t specify how long that limit is. Read about the current laws affecting holiday rentals in Andalucia here. 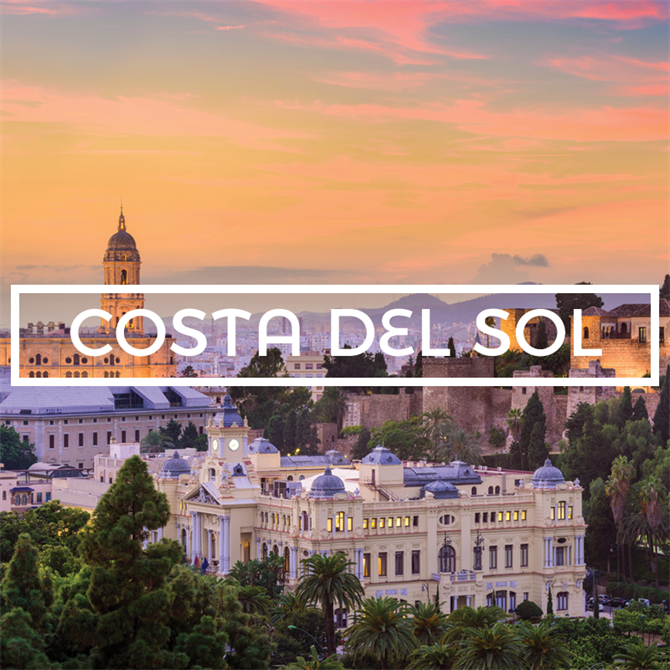 APPROVED PROPOSAL: 14 September 2018: The City of Malaga plans to charge a new tax on holiday rental accommodation from 1st January 2019. Licenced holiday rental homes in the capital will be taxed by the collection rate of industrial garbage. It will replace the domestic rubbish tax (tasa de basura) that all households pay. The new rate is now part of the tax ordinances of the City Council, whose preliminary draft has been approved today by the local government board. PROPOSAL: The town hall of Granada is looking into applying similar restrictions on holiday rental licencing in the city centre as those to San Sebastian. According to the Registry of Tourism of Andalusia, 1,894 homes have been registered, offering accommodation for approximately 9,800 visitors to the province. No numbers are available on the number of licenced rental properties in the city of Granada. In total 50,000 beds are available between hotels, hostels, pensions, campsites, rural houses and aparthotels in the Granada province. Holiday rental properties account for approximately 20% of tourism accommodation, with the biggest concentration in the popular neighbourhoods of Albaicin, el Realejo and the historic centre. PROPOSAL: Seville is considering introducing tourist zones with restrictions on holiday rentals in the city centre. Read about the current laws affecting holiday rentals in the Balearic Islands here. PROPOSED: In September 2018, the Consell the Mallorca presented the newest draft of the Plan of Intervention in Tourist Areas (PIAT) with new, strict eco regulations for holiday rental properties in Mallorca. The new measures apply to both hotels and tourist rental accommodation. If approved, these new measures will force holiday rental owners to make high investments to adapt their homes to tourism. All tourist establishments must have an electric vehicle charger within 500 meters. The houses must have water reuse systems in showers and double flushing in toilets. All holiday rental properties built before 2006 will have to have the energy rating class B or C.
All holiday rental villas will have to have photovoltaic panels and the gardens must be landscaped plants of low consumption. The public and residents of Mallorca now have until 1st October 2018 to submit their complaints and comments regarding the draft. 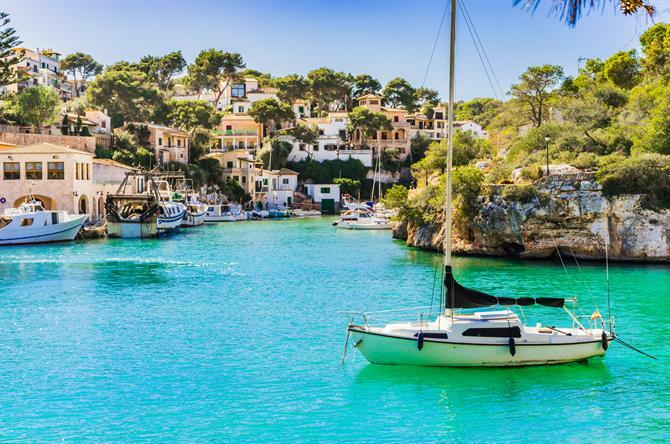 The Balearic Islands are currently implementing measures to control the holiday rental industry on the islands of Mallorca, Menorca, Ibiza and Formentera. You can watch our webinar on the changes to the holiday rental laws in the Balearics for further information about each island. While the current legislation allows the rental of villas only for holiday lets, the local town halls have the power to apply their own exceptions to the holiday rental licence law governing the Balearic Islands. The capital city of the Balearic Island of Mallorca – Palma – has categorically forbidden all holiday rentals in apartments in the city centre. No licences will be granted to apartments in the city but freehold properties such as villas will be able to rent out to tourists. Holiday rentals in apartments are not permitted anywhere on Ibiza, as per the previous holiday rental licencing laws. In the city of Ibiza, holiday rentals will not be permitted at all, in apartments or villas. Likewise, the town of Santa Eulalia – the third largest resort on the island - prohibits all holiday rentals, as a temporary measure until they have established tourist zones where holiday rentals will be allowed. Newly built properties will not be allowed to be rented out for holiday lets anywhere in the Balearic Islands; all holiday rental properties must be minimum 5 years old. PROPOSED: In May 2018, the revised proposal relating to the establishment of zones on the island of Mallorca where holiday rentals would be permitted, has been put before the Balearic Government for approval. This revised version of the tourist “zones” takes into account the feedback received in the from residents, the town halls, businesses and the general public period of public opinion. Seven areas that were previously classified as “saturated” and therefore did not allow holiday rentals have been downgraded in their classification. S’Esgleieta (Esporles), Ruberts (Sencelles), Es Carritxo (Felanitx) and Ses Coves (Deia) are now classified as “vulnerable areas” and therefore holiday rentals are restricted to a maximum of 60 days per annum, in both villas and apartments. The areas of Ariany, Llombards (Santanyi) and Randa (Algaida) have been declassified from “vulnerable areas” status and therefore are no longer restricted by maximum number of days rented per year. The Ayuntamiento of Llucmajor has requested extraordinary restrictions in the municipality of s’Arenal, limiting the maximum days rented in a year to 60. In the historic centre of Port de Soller, holiday rentals are also restricted to max. 60 days/year. In the municipality of Muro, holiday rental apartments are prohibited in Platges de Muro. In ses Casetes dels Capellans, all holiday rentals are prohibited. The Ayuntamiento of Marratxi has restricted holiday rentals in apartments to a maximum of 60 days/year, but villa rentals have no restrictions relating to the maximum number of days rented. 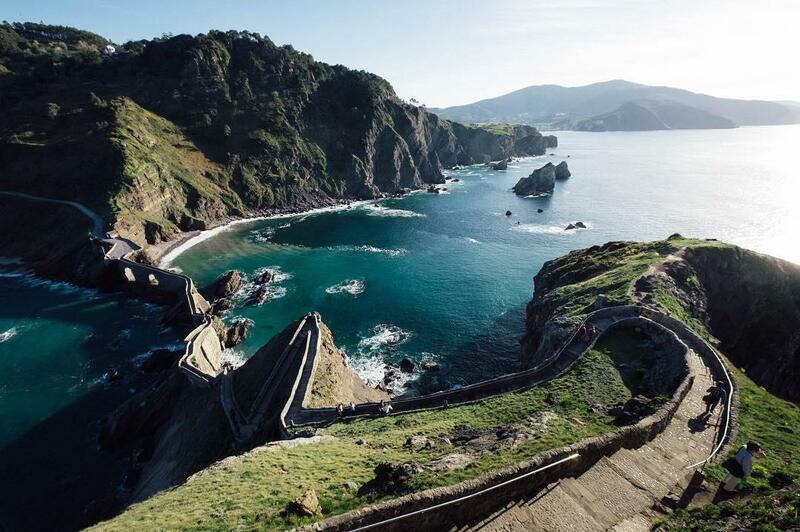 Read about the current laws affecting holiday rentals in the Basque Country here. Zone B – in high demand areas only first floor properties in non-residential buildings and 250m2 or smaller will be allowed. Measures also propose a maximum of one top floor rental property in buildings with seven or more floors. Zone C – the remainder of the city will have more relaxed conditions for properties up to 350m2. APPROVED: Bilbao gave the green light in January 2018 to plans to limit holiday rental properties to first floor and ground floor properties only. In the city centre, only one “tourist accommodation” will be permitted per building, whether it is a tourist apartment, a hotel or even a room share. Read about the current laws affecting holiday rentals in the Canary Islands here. PROPOSAL: On 21st May 2018, the Canary Island government has proposed a new holiday rental licence law relating to holiday rental properties on the islands of Tenerife, Gran Canaria and Fuerteventura. The proposed law aims to ban all holiday rentals in tourist areas, although the local town halls will have the power to create exceptions to this proposed law. The proposed law would also affect holiday rental home owners with three or more properties which would have to be classified as professional business. 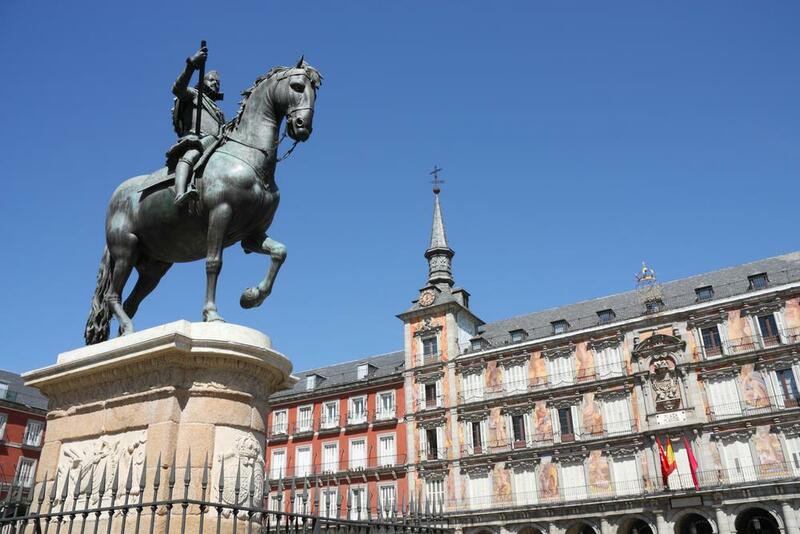 Read about the current laws affecting holiday rentals in the Community of Madrid here. Since January 2018, there is a one-year suspension on issuing licences in the Spanish capital. PROPOSAL: Plans have been announced to prohibit the rental of apartments in the historic centre of the city to tourists unless the property has its own private entrance. Potentially, this would affect 95% of properties in the city, and restrict rentals to independent properties such as villas or townhouses, or street level properties. Other proposed measures include establishing 4 tourist zones in Madrid city, with stricter regulations in the popular, centrally located tourist neighbourhoods. Also, holiday rental home owners who rent out their properties to tourists for 90 days or more, will be required to have an urban rental licence. Proposals also look to prevent existing conditions whereby entire residential buildings are being rented out to tourists on short term lets. Owners will need to have the permission of the association of homeowners of the community or building to be able to rent out their property for short term holiday lets. Read about the current laws affecting holiday rentals in the Community of Valencia here. Currently the granting of new holiday rental licence applications in the Ciutat Vella districts are suspended, effective from 26 February 2018 until a Special Plan for the Protection of Ciutat Vella is drawn up and approved. APPROVED: In addition to registering a holiday rental property with the Generalitat Valenciana, holiday rental home owners are now required to obtain additional permission from the pertaining town hall in order to rent out their property to tourists. PROPOSAL: The city of Valencia is considering limiting holiday rental to ground floor and first floor properties only. PROPOSAL: Further proposals include reducing the maximum number of days a property can be rented out from 60 reduced to 45 days annually for holiday rental properties. This proposed amendment applies to the whole region of Valencia. PROPOSAL: A further proposal in June 2018 is to allow entire residential buildings in the Cuitat Vella district to be converted into holiday rental properties. This would be permitted only in the San Francesc neighbourhood and also some areas of the Velluters barrio which are the two prominent, most popular tourist destinations in the city centre. The plan also would allow for residents who are "empadronados" in the Cuitat Vella to rent out their properties for a maximum of 60 days per year. The proposed amendments to the Law will be presented to the Valencia Government at the end of May 2018. In a country that receives more than 82 million visitors annually, and is the third most visited country in the world, the balance between being an appealing tourist destination while respecting the integrity of the local way of living isn’t easy to strike. Tourism in places like Catalonia, the Balearics or the Canary Islands is not the same as, say, Castilla-La Mancha, and that the laws governing the holiday rental industry in each area reflect the uniqueness of each destination. There is no blueprint, no magic formula, no one-size-fits-all template to sustainable tourism especially regarding the booming holiday rental industry. The eyes of the tourism industry are looking to Spain how to find a working solution to growing international tourism and its impact at a local level.